Sierra Mar blends comfort with elegance in natural surroundings — cliffs, mountains and the ocean below. 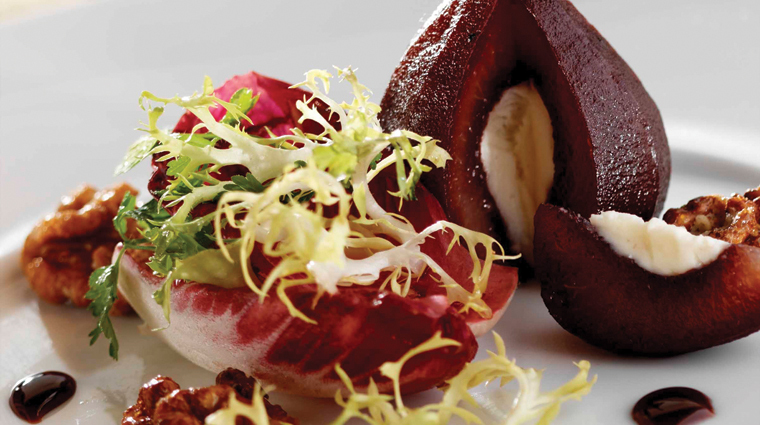 The four-course, prix fixe menu changes daily and utilizes seasonal organic products. You might find corn soup with heirloom tomatoes, wagyu short rib with garden mushrooms, artichoke ravioli or roasted rabbit. 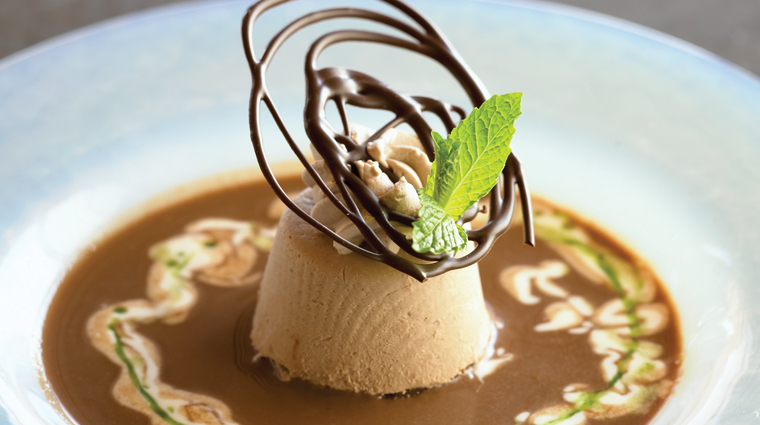 Desserts are equally appealing with options such as baked Valrhona milk chocolate crêpes with hazelnut brown butter sauce, a hazelnut lace cookie and bittersweet Valrhona chocolate sorbet. It also offers all guests a complimentary breakfast buffet. 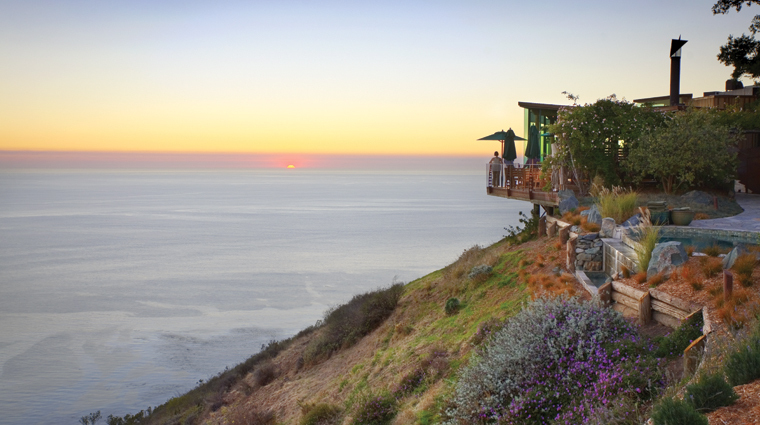 The restaurant is located within Post Ranch Inn and can be found perched on top of a cliff along the Big Sur coast off Highway 1. 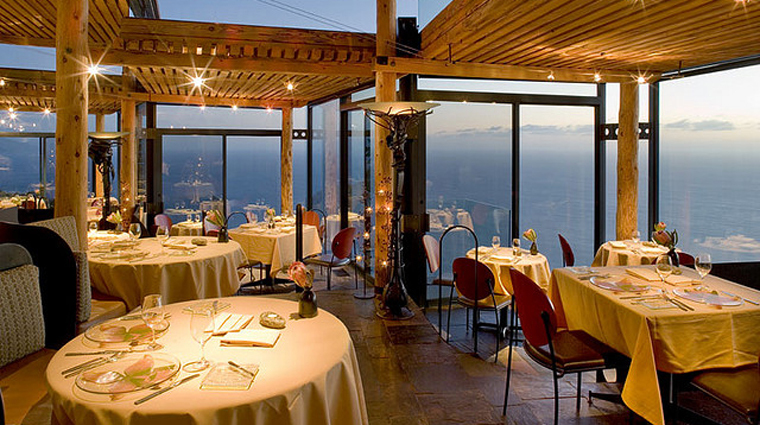 The trendy restaurant’s location allows for incredible ocean views. And, given that it's only 30 miles south of Carmel and 150 miles south of San Francisco, it’s no surprise that the region has a major influence on the menu. 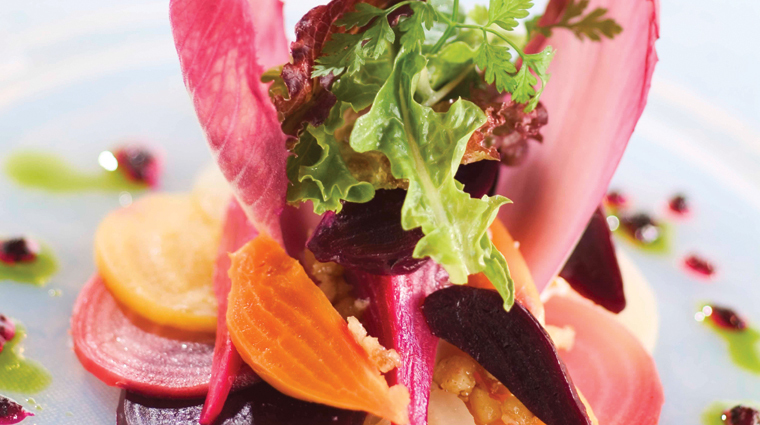 Chef Elizabeth Murray's fresh California fare is prepared in fusion with French, Asian and Mediterranean influences and you’ll see all the bounty of the surrounding area make an appearance on the menu. For dinner, the staff suggests slightly nicer attire — more business casual than casual. Men don’t need to wear a suit coats or ties, but we recommend a nice button-up shirt and dress pants or khakis and for women, we recommend a comfortable dress or nice slacks and a blouse. If you’re staying at the Inn, you can schedule a dinner any time, but if you're just visiting the restaurant make sure to book a reserved seating slot at 5:30 p.m., 6 p.m. and 8:45 p.m. The restaurant has one of the most extensive wine cellars in North America with well-known wine producers and hard-to-find bottles from boutique vineyards.